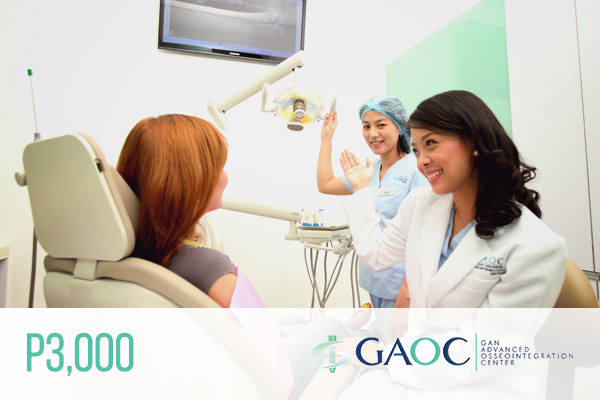 Gan Advanced Osseointegation Center (GAOC) is the leading dental center in the Philippines. 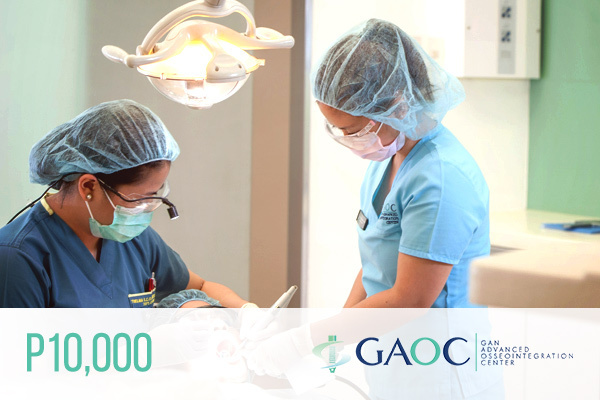 Spear-headed by Dr. Steve Mark Gan, GAOC pioneers countless dental initiatives in the country that adhere to current international standards. 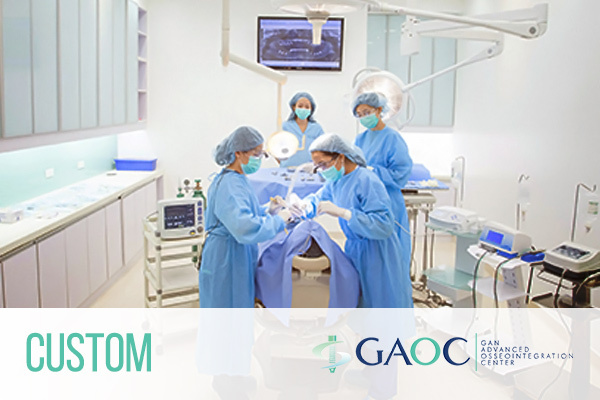 With cutting-edge technologies, hospital-like dental clinics, and multifaceted dentists, GAOC is among the most trusted providers of dental treatment in Southeast Asia. Each eGift Card has a unique code that corresponds to an amount (denomination). To use the eGift Card at the clinic, the code must be given by the recipient to the clinic staff for validation prior to their desired appointment. 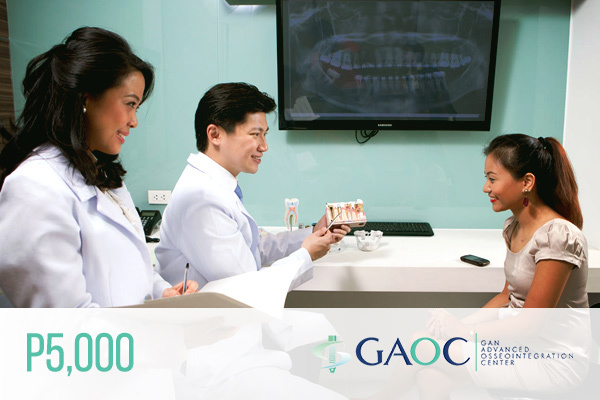 To know more about the services that may be availed for your eGift Card’s value, recipient may call 843-GAOC (4262) or email info@gaocdental.com. The recipient must wait for the clinic staff to finish the validation process. The clinic staff will receive a validation response indicating the eGift Card amount and validity. The clinic staff may then schedule the recipient for an appointment once validated. The recipient is responsible for the safekeeping of the eGift Card code. The recipient must only give this to the clinic staff once he/she commits to use it for any treatment or procedure. In the event that the clinic’s eGift Card validation system is offline or unavailable, the clinic staff shall politely decline to accept the eGift Card. The recipient may still use the eGift Card when the system is back online. The eGift Card may not be valid for use on certain promotional items/services. Rates of products and/or services will be based on the clinic’s published rates and it cannot be exchanged for cash. If total value of eGift Card is not used up, remaining balance may still be credited for other services within a maximum of thirty (30) days. If the purchase goes beyond the eGift Card amount, the recipient is to pay for the difference. There is no limit on the number of eGift Card codes that may be used per transaction.